Register for Spring Semester Today! Congratulations Morgan On Winning Tokyo World Cup 2019. ​Congratulations Morgan Hurd on another successful World Championships in Doha, Qatar, October 2018. Gold Medal - Team, Silver on Floor and Bronze All Around! We are all so proud of you! Welcome to the wonderful and exciting sport of gymnastics ... and to the home of the most successful gymnastics program in Delaware!!! ​Our mission is to provide a safe, fun, and productive learning environment for each and every child to whom we teach gymnastics. 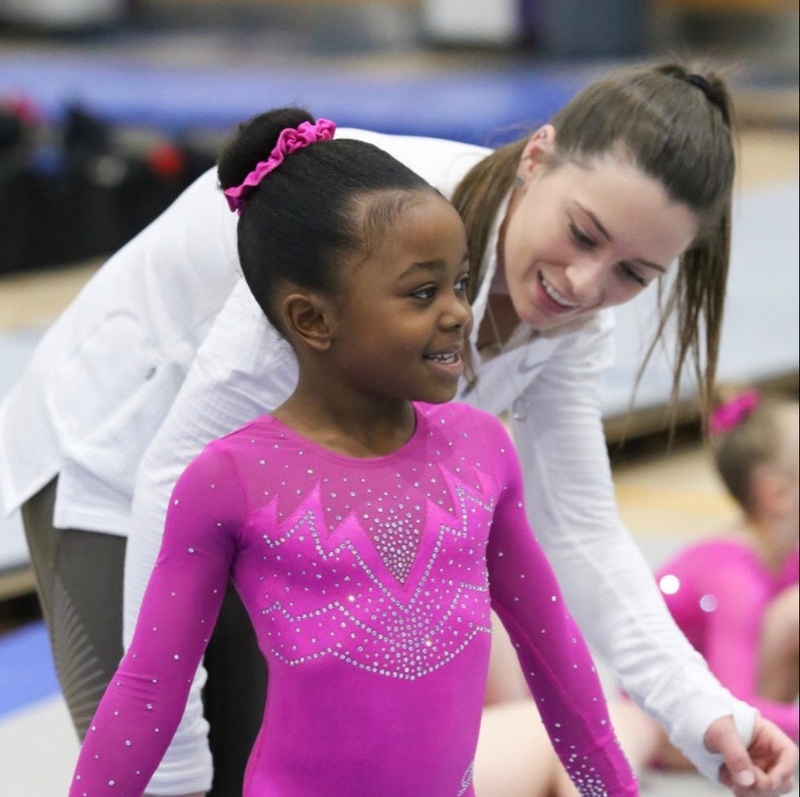 While helping to instill self-esteem and self-confidence in our gymnasts, we foster a sense of dedication and commitment to goal setting that will ultimately lead to successes in any of life's endeavors. 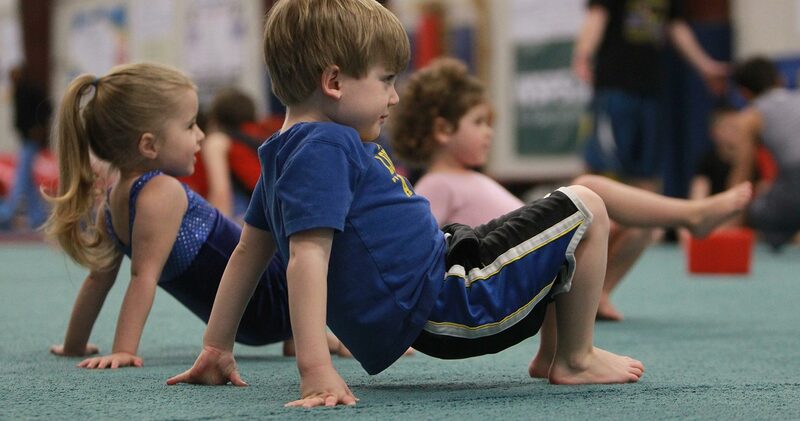 Gymnastics Classes Promote Healthy, Active Life Styles, a Strong Work Ethic and Physically Fit Children! 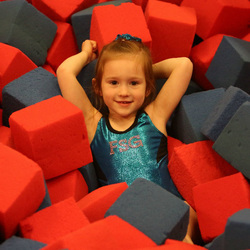 Summer Gymnastics Camps provide a terrific learning environment for class and team gymnasts. Join us for an incredible summer of learning! The First State Gymnastics Team Program wishes to allow each competitive gymnast the opportunity to excel and aspire to the greatest individual degree in the sport of gymnastics. We just came home from my daughter's birthday party at your gym, and I just had to send you a note of thanks! All of our guests had a wonderful time at the party, and all of the staff at the gym went out of their way to make the party fun and successful. We could not have asked for a better place for her party! First State Gymnastics class program runs on a 12 week Semester system during calendar school year. Two Summer sessions are 6 weeks long each. Many of our classes have closed. If you do not see a class for your child's age or need, please call the office as we are creating waiting lists and building classes as needed. Click register for classes below to see real-time openings in our classes and have the opportunity to register and pay on the spot. REGISTRATION IS NOW OPEN FOR SPRING SEMESTER! We are currently looking for sponsors! We will put your banner on display inside the gym and you get a space on our website. If you are interested and can help please let us know. Copyright ©2006-2016 First State Gymnastics. All rights reserved.